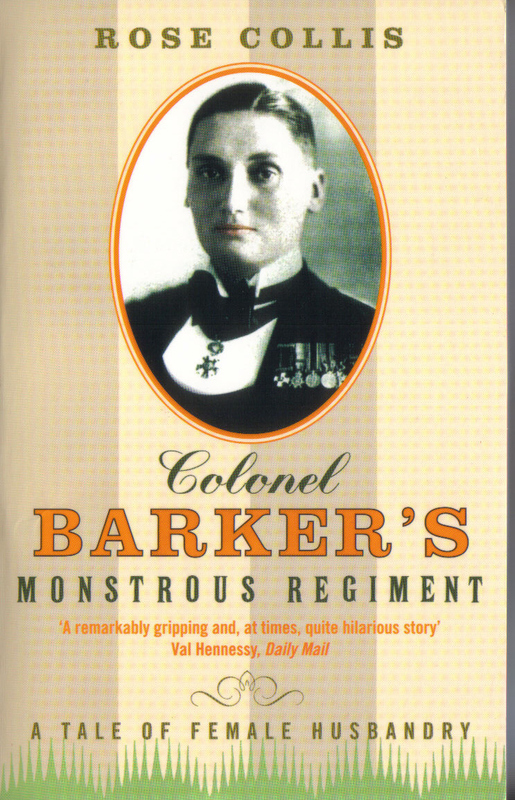 Philippa appeared in the Arts Council England-funded The Trials of Colonel Barker, adapted by Rose Collis from her own book about the extraordinary ‘Colonel Victor Barker’, in the Hove Grown Festival 2017. Writer and performer Rose Collis has been awarded research and development funding from Grants for the Arts, supported by Arts Council England, to create a two-act stage play based on her book Colonel Barker’s Monstrous Regiment, about the extraordinary life of Valerie Arkell-Smith aka ‘Colonel Victor Barker’. The Trials of Colonel Barker will be developed to rehearsed reading stage, in time for the second (Brighton And) Hove Grown Festival of new writing which takes place March 24 to April 2 2017. Participating artists for The Trials of Colonel Barker will include Keith Drinkel, Philippa Hammond and Guy Wah. This first rehearsed reading will be directed by Thomas Everchild.